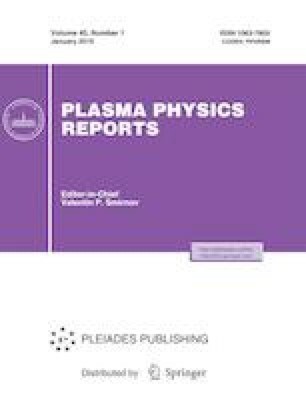 The phenomenon of large-scale discharge oscillations in Morozov’s stationary plasma thruster (SPT) is physically interpreted by analyzing global modes of gradient drift instability. The problem is solved using an ideal two-fluid hydrodynamic plasma model that includes the effects of stationary electron flow, electron inertia, and spatial inhomogeneities of the magnetic field and plasma density along the accelerating channel. The frequencies and axial structure of unstable eigenmodes are calculated for typical parameters of the SPT-100 thruster. The obtained spectrum is characterized by a finite set of long-wavelength azimuthal modes in the lower hybrid frequency range, which are predominantly localized in the near-anode region of the thruster. It is shown that the eigenmodes can form wave packets the main characteristics of which in the linear stage of instability coincide with the parameters of the experimentally observed large-scale azimuthal spoke-like structures. The influence of the thruster geometry (the length and width of the accelerating channel) on the frequency characteristics of oscillations and formation of beatings is investigated.